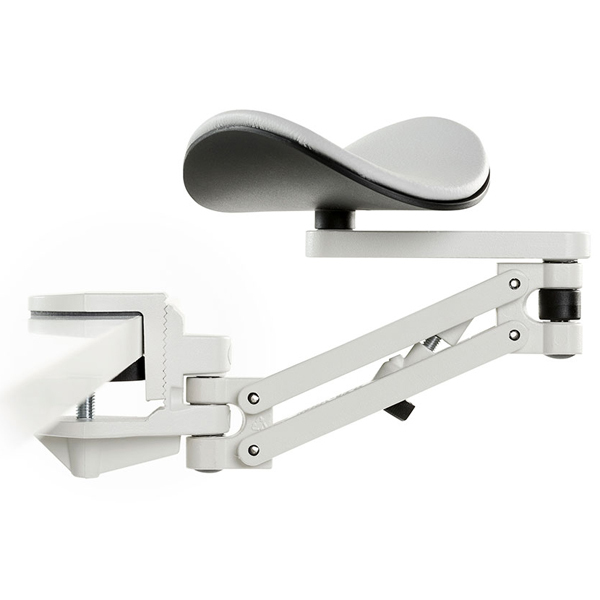 Easy to install, the Ergo Rest Armrest just clamps on to the front of existing desk and adjusts to suit. Particular benefits to mouse users. Can relieve repetitive strain disorders and relieves muscle strain and tension from neck and shoulder area. 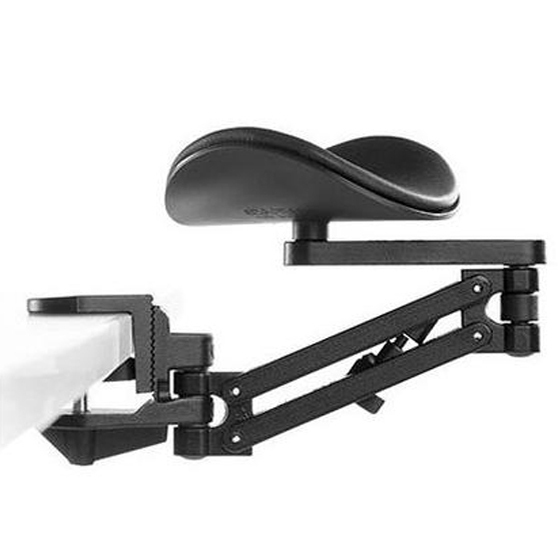 The Ergorest Forearm support is lightweight and easy movable. 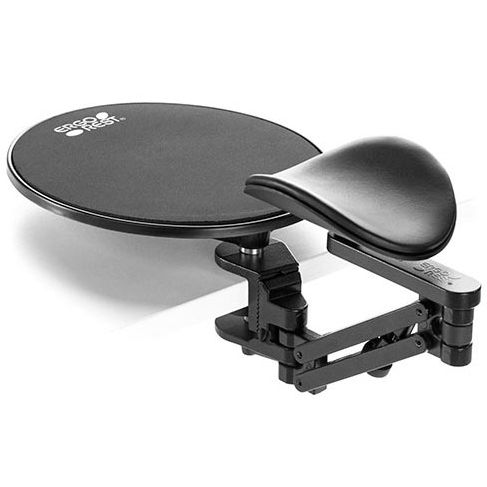 The support is made of aluminium alloy and polyamid, the pad is upholstered with leather. 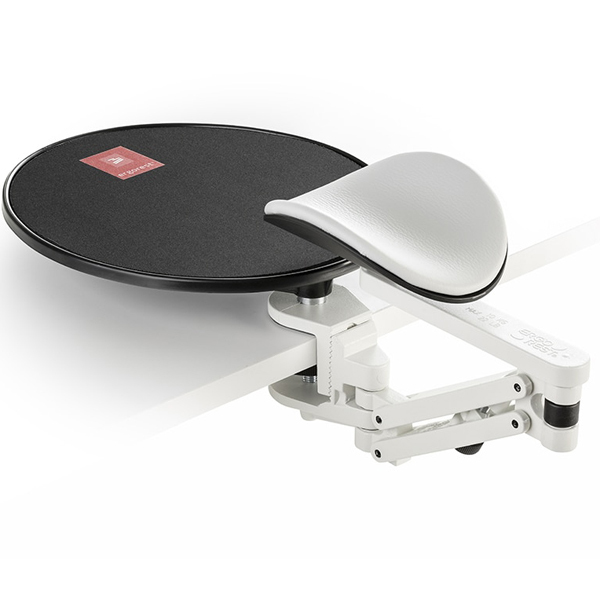 The forearm support can be attached to a table top or desk using the adjustable clamp. It also has a height adjustment screw. Fits desks with a top surface 15mm-43mm thick, Black (332 020). Fits desks with a thickness 34mm-64mm thick. Black (332 120), Grey (332 100). This version of the Ergorest comes with an attached mouse mat. Fits desks with a top surface 15mm-43mm thick. Black (352 020). Fits desks with a top surface 34mm-64mm thick. Black (352 120), Grey (352 100).